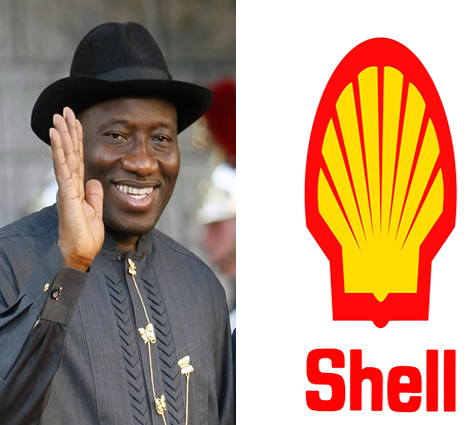 Royal Dutch Shell has said that it paid $3 billion to the Nigerian government in 2014 as royalties and taxes. The oil giant said Shell Petroleum Development Company of Nigeria Limited (SPDC) contributed $1.8 billion and Shell Nigeria Exploration and Production Company (SNEPCo) paid $1.2 billion. This was contained in the company’s Sustainability Report for 2014 published recently, putting revenues from SPDC to the Nigerian government from 2010 to 2014 at $48 billion. According to the report, Shell put share of revenue after cost that goes to the Nigerian government from each barrel of oil that SPDC produces at 95 per cent while 90 per cent of total number of contracts were awarded to local companies. Shell also said $1.5 billion was spent by SPDC and SNEPCo on local contracting and procurement in 2014; funded the Niger Delta Development Commission with $93.6 million, and made $34.3 million direct contribution to social investment projects. It noted that SPDC with 30 per cent interest is the operator of a joint venture between the government-owned Nigerian National Petroleum Corporation (NNPC) with NNPC having 55%, Shell has 30%, Total has 10%, while ENI has 5%. The report also noted that SNEPCo, which is 100% owned by Shell, holds interests in a number of offshore licences including the Shell-operated Bonga field (Shell interest 55%), Nigeria’s first deep-water project. Shell also has a 25.6% interest in Nigeria Liquefied Natural Gas (NLNG), which exports Liquefied Natural Gas (LNG) around the world. According to the report, Shell said in 2014, the Shell Companies in Nigeria contributed to communities with their social investment programmes, noting that work is also continuing with communities and civil society to build greater trust in spill response and clean-up processes. “The Shell Companies in Nigeria (SCiN) continue to support the economic development of Nigeria through job creation as well as promoting entrepreneurship, education and supporting the improvement of community health,” the report said. The report said SPDC strengthened efforts during 2014 to tackle the issue of crude oil theft and sabotage in the Niger Delta by working with the oil and gas sector; governments, non-governmental organisations (NGOs) and the international community. It also noted that its youth entrepreneurship programme, LiveWIRE, launched in Nigeria in 2003 had trained about 6,000 young adults in the Niger Delta to set up and grow new businesses as at 2014. “More than 3,000 of these trainees received business start-up grants. In 2014, the programme was broadened to focus on people with physical impairments with 180 people receiving training and grants,” it said. The company lamented that pipelines traversing Ogoniland have been subjected to some of the highest rates of oil theft and sabotage in recent years, but said improved access has now made it possible for SPDC to enhance security measures in partnership with local communities and to develop a more comprehensive picture of spill sites requiring clean-up. The oil giant said Ogoni communities in 2014 took direct responsibility for monitoring oil theft along the sections of the Trans Niger Pipeline (TNP) that traverse through their communities, noting that the pipeline that transports crude oil through Ogoniland to the Bonny Export Terminal has been heavily impacted by theft in recent years. Shell also said the SPDC JV had initiated action on each of the recommendations of the United Nations Environment Programme (UNEP) on the Environmental Assessment of Ogoniland, published in 2011, which apply to it, saying that it remained firmly committed to using the UNEP report as an opportunity to drive wider improvements on the ground. UNEP had called on the Nigerian government, oil and gas companies and communities to put an end to all forms of oil contamination and to begin a comprehensive clean-up of the region. The report also noted that SPDC had reduced the volumes of flared gas by more than 75% between 2002 and 2013. “Flaring intensity (the amount of gas flared per barrel of oil produced) fell by almost 60% over the same period,” it said, adding that SPDC will further reduce the volume and intensity of gas flaring with a number of associated gas-gathering projects which are currently in development. “Further progress to reduce flaring needs sustained commitment and funding by all joint-venture partners, together with safe access to install the equipment. “However, in 2014, an increase in levels of oil production has resulted in the volumes of flared gas increasing by 12% over the year, and an increase of 9% in flaring intensity. A challenging operating environment and shortfalls in funding from the government-owned Nigerian National Petroleum Company have resulted in delays to the completion of a number of gas-gathering projects,” the report added.